Signed, l.centre, black ink "Edwin Pareroultja". Not dated. 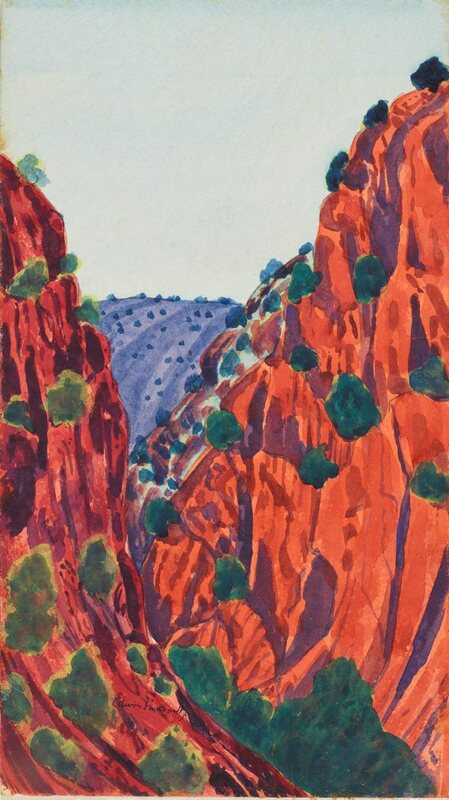 Alison French, One sun one moon: Aboriginal art in Australia , ‘‘We’re got to follow that old man’s tracks’: Engaging with the art of Albert Namatjira’, pg. 151-163, Sydney, 2007, 154 (colour illus. ).